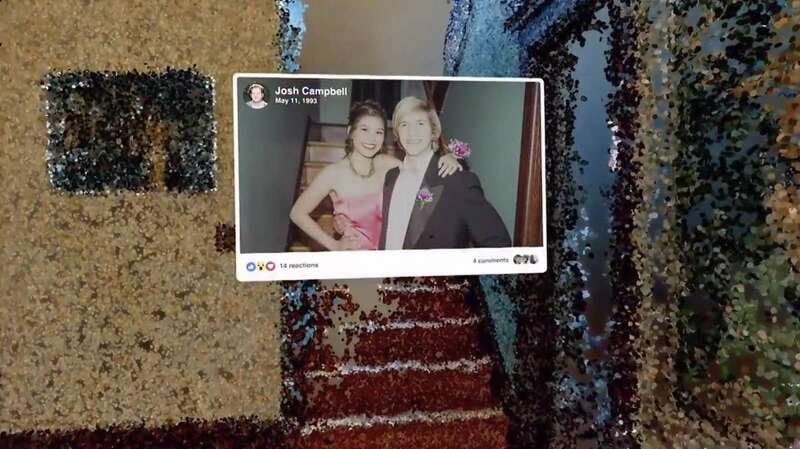 Head of social VR at Facebook unveiled an experimental feature at the company’s F8 keynote this week where its AI machine learning algorithms converts 2D photos or videos into a virtual three-dimensional worlds. 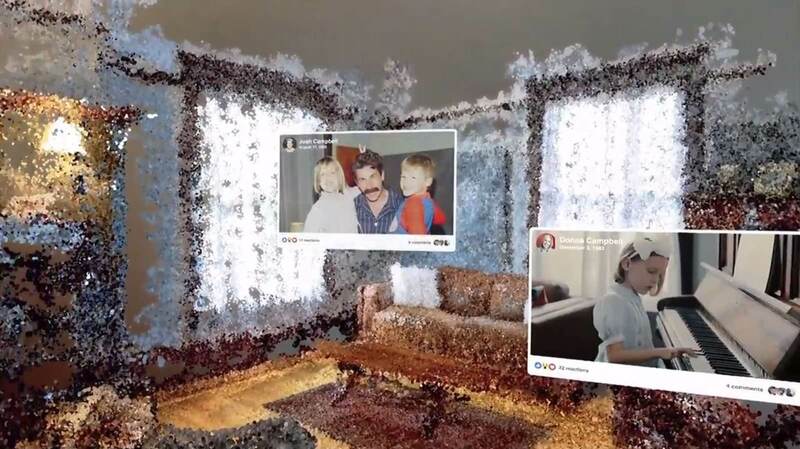 This technology uses “photogrammetry” to reconstruct your photos or videos into 3D space. 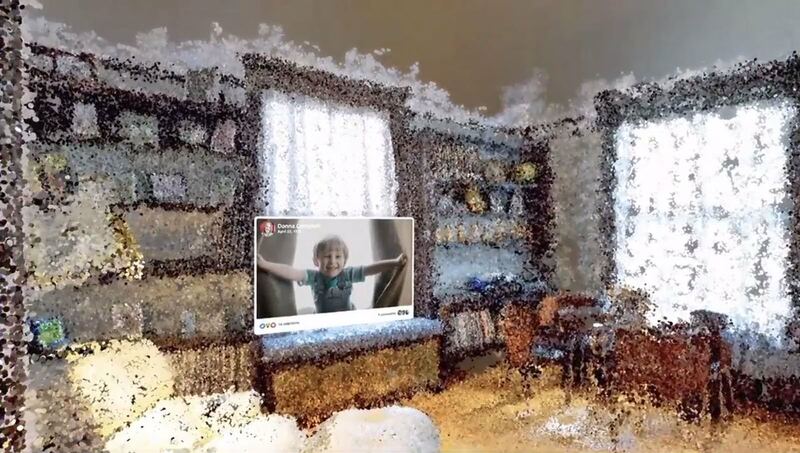 In other words, Facebook combines images shot in the same location with tier AI for ‘point cloud reconstruction’. Continue reading for more pictures and information. “As you can see, the 3D VR world looks like it’s made up of colorful paint splotches, giving the experience a strange, dream-like look to it. 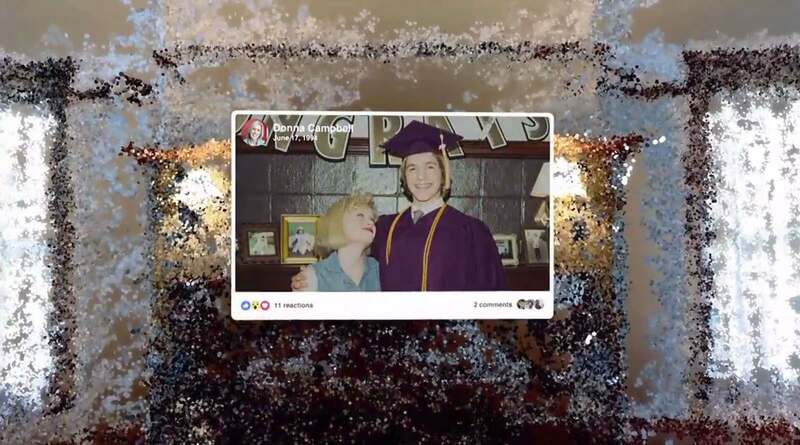 Still, this is the first step into a new world that will undoubtedly become more and more polished and powerful over time – it’s a glimpse into what the future holds for photo viewing experiences,” reports Peta Pixel.